The U.S. vows to keep up the fight against ISIS, the militant group in Iraq and Syria that beheaded a U.S. journalist. 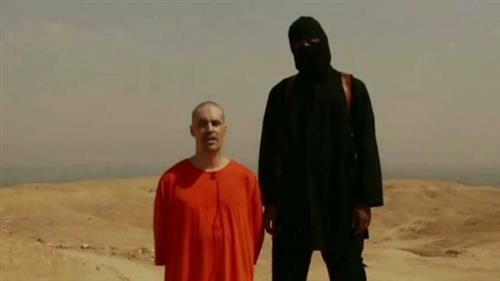 The beheading of James Foley by the Islamic militant group known as ISIS has appalled the world. Check out the latest on this complex, fast-moving story. Here are tweets, images, and news reports about the event and the international reaction to it. Qatar's Ministry of Foreign Affairs described the killing as a "heinous crime that goes against all Islamic and humanitarian principles, as well as international laws and conventions," the state-run Qatar News Agency said. The ministry expressed its condolences to Foley's family and peers. The American journalist "showed courage in conveying the truth from the most dangerous spots in the world, including the suffering of Syrians," QNA said. Bahrain’s government also strongly condemned the killing Thursday. and the High Authority for Information and Communication described Foley’s murder as "a terrorist act contravening the principles of the Islamic religion, human values and international laws and norms," according to the country’s state-run Bahrain News Agency. ISIS, says Erin Marie Saltman of the Quilliam think tank, is a danger and a challenge. Opinion: What is ISIS hoping its abhorrent beheading video will achieve? CNNThe recent video depicting the final words and beheading of U.S. journalist James Wright Foley by someone that seems to be a British foreign fighter has sent shockwaves across the West. The captors of American journalist James Foley originally demanded a ransom of 100 million euros ($132.5 million), according to the news outlet that he was working for. Foley, a freelance journalist, was on assignment when he disappeared on November 22, 2012, in northwest Syria, near the border with Turkey. Tina Carr, director of the Rory Peck Trust, wrote a column about why the noble calling of free-lance reporting is fraught with peril. CNNDavid Weinberger says Twitter has been vested with a responsibility, and a trust, it did not ask for. The Islamic State is also known as Islamic State in Iraq and the Levant, and the Islamic State in Iraq and Syria. Led by Abu Bakr al-Baghdadi, it aims to create an Islamic state across Sunni areas of Iraq and in Syria. Are there people or groups out there who support ISIS? Yes, according to a report in The Yemen Times. Al Qaeda in the Arabian Peninsula announced "solidarity with our Muslim brothers in Iraq against the crusade." There's news today about a unit of female Kurdish soldiers joining the fight against ISIS. Now here's an essay in Foreign Affairs about why women would even think of joining ISIS. Author Nimmi Gowrinathan says: "To combat female extremism, the West must understand the grievances that motivate women to fight and then eliminate them." Experiences she learned in Sri Lanka, where women joined the Tamil Tigers, helped her understand women fighters in Iraq. 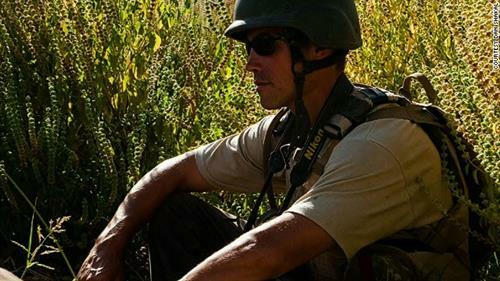 Examples of his "finest reporting"
James Foley worked for GlobalPost, an online outlet devoted to international news. Here's a collection of Foley's work, what GlobalPost calls his "finest reporting." terror across Syria and Iraq," said Secretary General Noble. In case you didn't notice yesterday, President Obama called ISIS, the Islamic State in Iraq and Syria, by another acronym. That would be ISIL, the Islamic State in Iraq and the Levant. The Washington Post explored the terminology issue in a recent story. 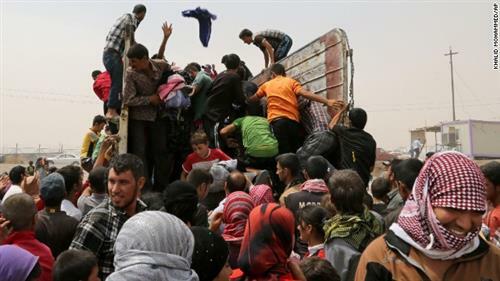 The U.S. military's Central Command says there were more U.S. airstrikes Thursday in northern Iraq. 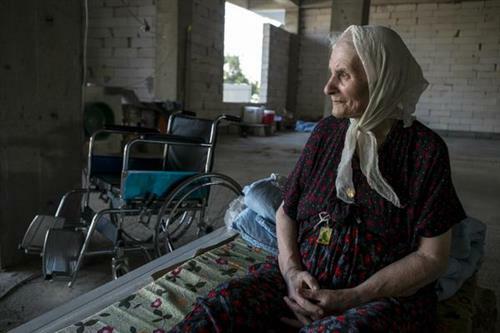 There have been 90 airstrikes since August 8, with 57 of those near the Mosul dam. Fighter and attack aircraft conducted six airstrikes in the vicinity of the dam Thursday, Central Command said. "The strikes destroyed or damaged three ISIL Humvees, one ISIL vehicle, and multiple IED emplacements. All aircraft exited the strike area safely," the command said. 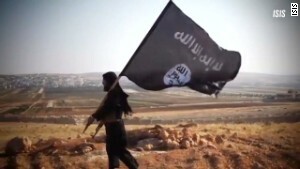 Here are six of the challenges the West faces with ISIS: CNN's Tim Lister lays it out here. 1) ISIS has considerable territory 2) ISIS has men, money, and munitions. 3) ISIS is strangling the Syrian rebels. 4) ISIS hasn't overreached yet. 5) The Iraqi government still needs to get its act together. 6) The international colaition needs to stick together.